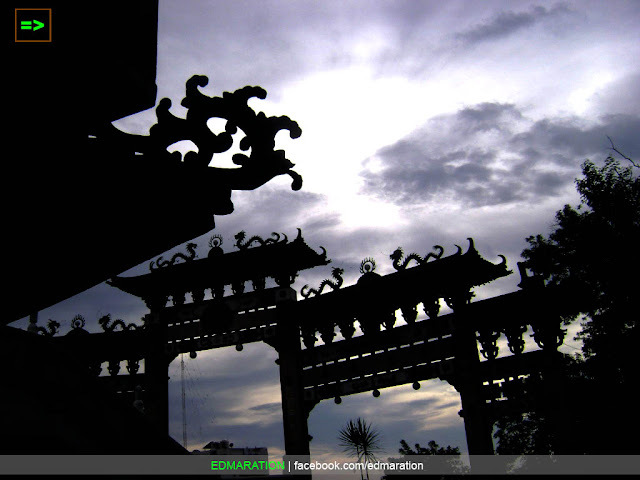 Home 112 on 2012 All Ilocos (Region 1) La Union Luzon Philippines San Fernando (La Union) Temples TRAVEL Traveling Solo UNUSUAL [San Fernando] ► Ma-Cho Temple - La Union: A Taoist Temple with Roman Catholic Touch! 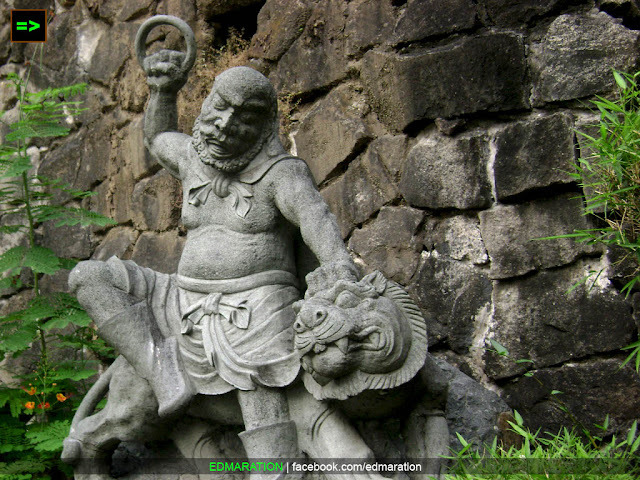 [San Fernando] ► Ma-Cho Temple - La Union: A Taoist Temple with Roman Catholic Touch! "Now, it is very interesting to know that a Taoist temple that doesn't believe Jesus Christ can have Roman Catholic devotees too." There are two religions/faiths fused in one temple, isn't it weird? 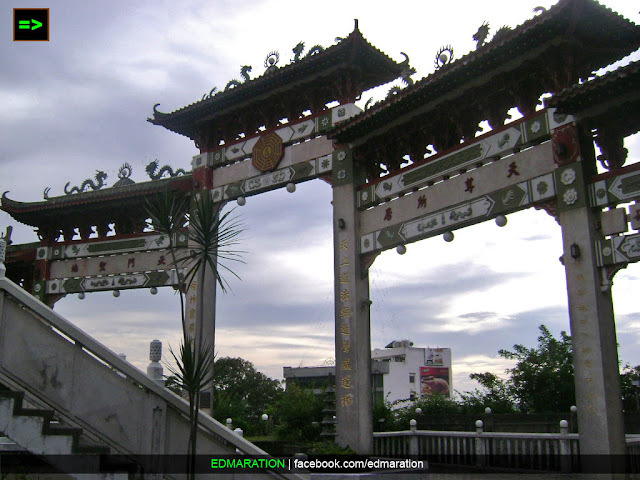 This temple is somewhat unusual because being the largest Taoist temple outside China (needs verification, it's according to the people there), two kinds of faith that usually clash and hard to reconcile are actually living within the spirit of this temple - the Ma-Cho Temple in San Fernando, La Union. 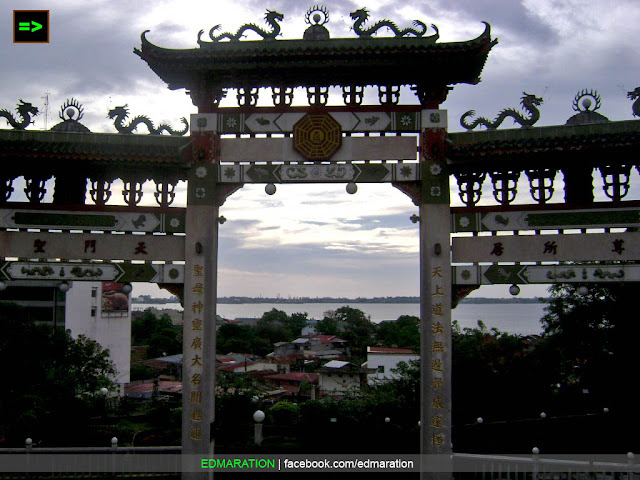 Built on a hill 70 feet above see level within a 1-hectare land, Ma-Cho Temple is faced to the west overlooking the West Philippine Sea and the San Fernando, La Union Bay at Barangay II, in the city of San Fernando, La Union. Have you ever asked why the name of the temple is Ma-Cho since there are no macho dancers? LOL! So for us to understand how this temple has become a house of two religions, let's go back to the history and let's build a connection to the Roman Catholic Faith, are you ready? The name Ma-Cho Temple is named after Ma-Cho. If you think this person is a good-looking masculine muscle-filled matinee hunk, you are very wrong because Ma-Cho is a female. In fact she is called as the Queen of the Heavens, Dragon Girl, and the goddess of the Sea so she never became a macho hunk. She's a Queen! According to the Chinese history, Ma Cho was born in the 960 AD during the Sung Dynasty of China and according to the legends, she never cried until the first month after she her birth so could you just imagine how her parents this time knew if she was hungry or has been wet in bed due to "wee-wee?!" For sure her parents were just toxic enough to look after baby Ma Cho every hour. Because she was the baby version of the fairy tale "The Princess who Could not Cry (LOL! )," she was first named Mo (not related to Mo Twister who had his baby aborted allegedly) which means "keeping silent." It is ironical how Mo Twister became so talkative about his allegedly aborted baby while this Ma Cho who was first named Mo was a baby who did not cry and just silent, thanks to the parents she wasn't aborted. I hope her parents did not attempt to slice thousands of onions before the baby Mo to make her fall her tears. When Ma Cho grew up, she became a monk at the age of 10 because of her intelligence, healing power and a photographic memory that every photographer wishes to have, lol! Ma Cho died at the age of 27 and even though she is now dead, Chinese sailors and fishermen believe that her spirit dressed in red, (yes the spirit has a red dress according to legend), continues to save lives for those who are in the high seas who are in distress. 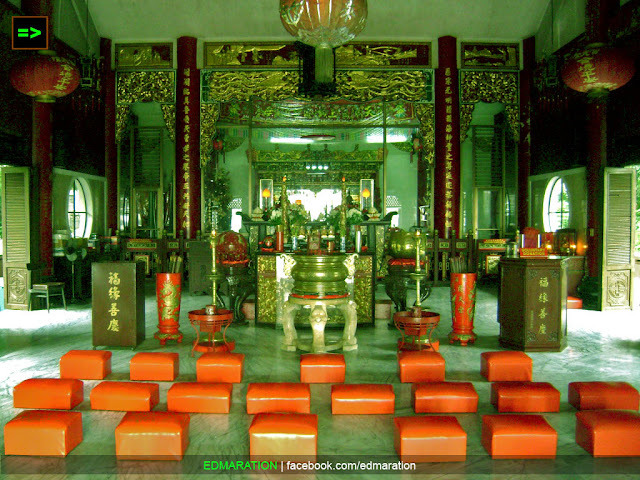 As of now, devotees of Ma Cho, including the Roman Catholic men, visit this Taoist temple to find luck from Ma Cho because of the belief that her 8-inch wooden image brings luck. And now the connection is starting to make a connection, hehe. Now here is the connection and it is unbelievably simple and thanks for having a time to read my long introduction. Ok, the connection starts from the "Virgin of Caysasay" enshrined in Taal, Batangas at the St. Martin Basilica. 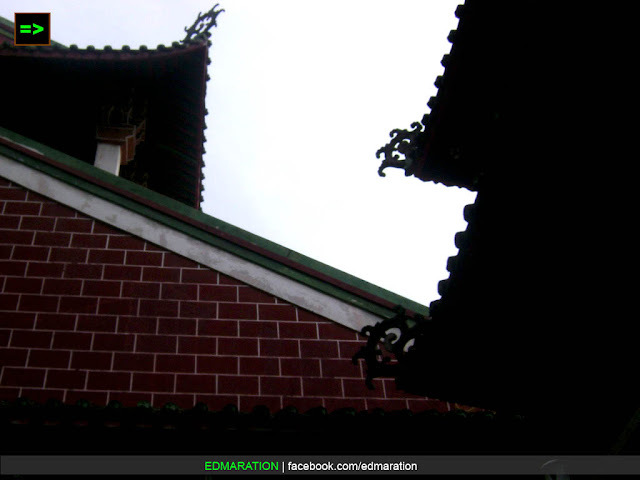 People of Roman Catholic faith believe that Ma Cho of this Taoist Temple and the Virgin of Caysasay housed in St Martin Basilica of Taal, Batangas, are one! Yes, they are one person. It is just so happened that the Taoist brothers call her Ma Cho and the Roman Catholic people call her "Virgin of Caysasay." So from these facts, Ma Cho is the same as the Virgin of Caysasay, so Ma Cho is also a virgin and died virgin at 27 years old! There is actually a ritual between Ma Cho and the Virgin of Caysasay every September 21-26. Devotees of the Lady Virgin Ma Cho and the Virgin of Caysasay gather for an annual celebration of the image's enshrinement for a pilgrimage to the Basilica of St. Martin of Taal, Batangas. From that Basilica, the devotees, together with the image of Ma Cho will travel back in the city of San Fernando, La Union to be immediately followed by a procession to the city's business district. With a Chinese (Taoist) feel, there is a dragon dance, that was really a fusion! From the Catholic procession to the Chinese dragon dance, two faiths never collide, they fused together harmoniously! Inside the temple, there are 18 Chinese saints carved in stone statues (who were imported) make different poses at the entrance wall. They face the courtyard of the temple which is made up of bricks in circular design. 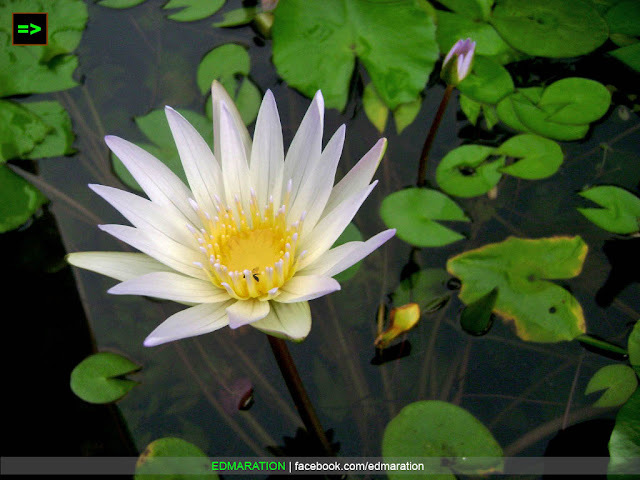 At the middle of the courtyard is a pond with water lilies and gold fish. 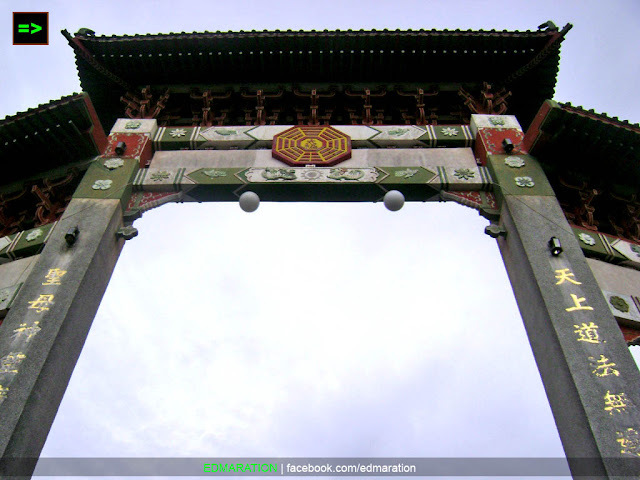 The temple is also notable for it's towering arch that overlooks the West Philippines Sea (as shown at the photos above). Going inside the meditation room, you will be able to notice the grand staircase that really give every visitor a warm welcome! When I was here, the temple was under reconstruction and I thought it is prohibited to roam around. But a Chinese-looking man waved after me telling me to go inside. He was just hospitable that he even opened up the lights for me to appreciate the things inside the temple. He told me "just go around." After calling me with a wave, I entered the meditation room and stepped forward to the grand staircase! 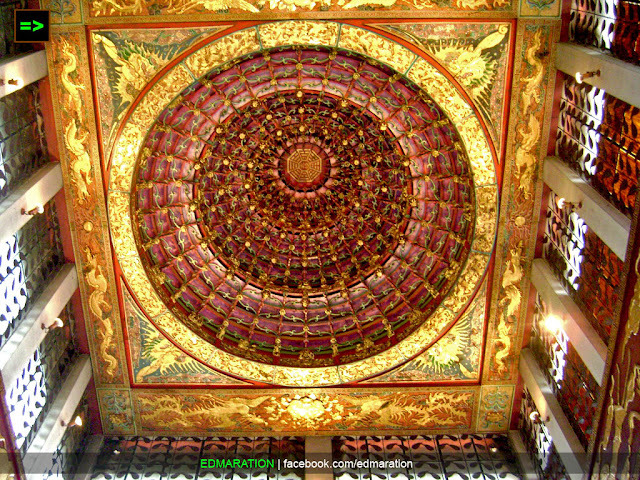 Inside, I was mesmerized by the intricate dome of the temple and I can feel the Chinese ambiance inside. Yeeee! From this tour, I learned again interesting facts that I will surely never appreciate if I am just stuck within the corners of our house. It is really good and a nice find that this temple has a twist. According to some reliable web sources, this temple also has similar version in Taiwan, Malaysia and Singapore where there are Chinese communities. Now, it is very interesting to know that a Taoist temple that doesn't believe Jesus Christ can have Roman Catholic devotees too. 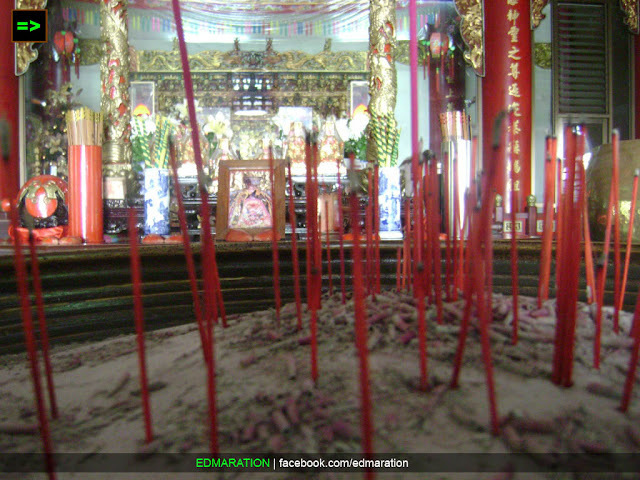 How to go to Ma-Cho Temple? 1. If you are already within the center of San Fernando, La Union, just take a trike and tell the driver to drop you to Ma-Cho Temple. It is very accessible and the entrance gate is just located along the national highway (Quezon Avenue) in Brgy II. 2. Trike fare is 10 pesos per head. Note: Before getting a trike, ask first any resident there if the temple is just walkable from the point you are currently situated to minimize expenses. Why not walk if it is just near, right? It doesn't kill to ask someone for an information. Important things to know in going to Ma-Cho temple. 1. There is no entrance fee. 2. Open on weekdays, to be safe, visit within 9am to 5pm. 3. There is a parking space inside for your car. For tourist bus, you may park inside the temple premises but just a note, the road going there is one lane only and it curves as it ascends to the top of the hill. You might ask your driver if he can take that. 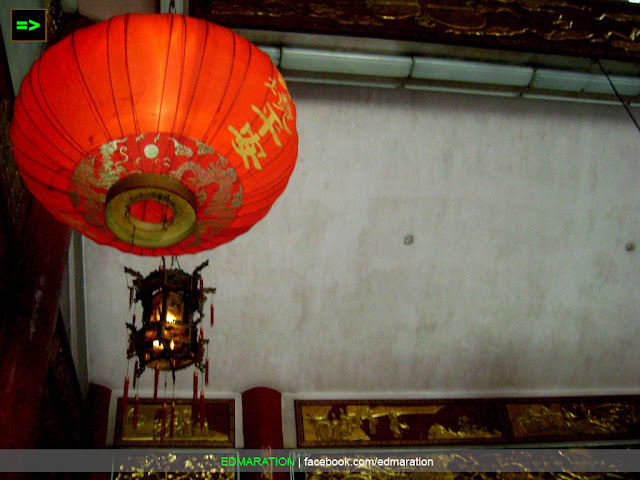 I have never been inside a Taoist Temple...and this one is really interesting! I think Filipinos and Chinese have that similar fatalististic mentality...after all, we are closely related. Nice photography Edmar! Natawa ako sa pag insert ng Mo Twister thingy haha. @Te Mhe-Anne, Haha. Halatang binasa mo talaga ang post, haha. Thanks naman sa effort. Miss ko na kasing gawing nakakatawa ang mga post ko eh. I started getting serious when I joined PTB baka kasi maging corny, toinkz..
Ngayon naman, go nalang, walang basagan ng trip., haha. 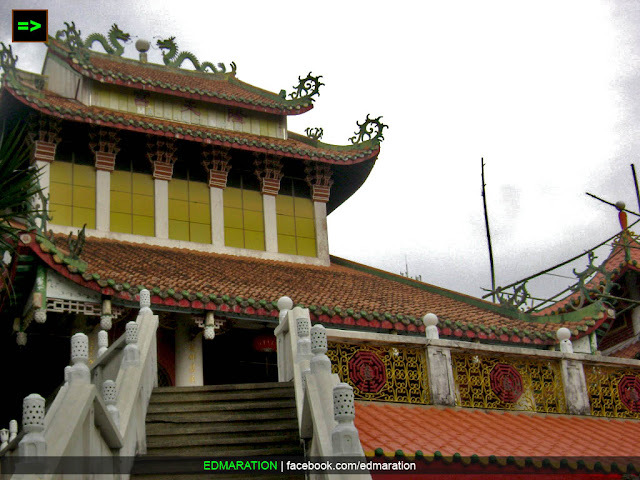 You might have been preoccupied by Cebu's Taoist temple. hehe. I can't blame you. 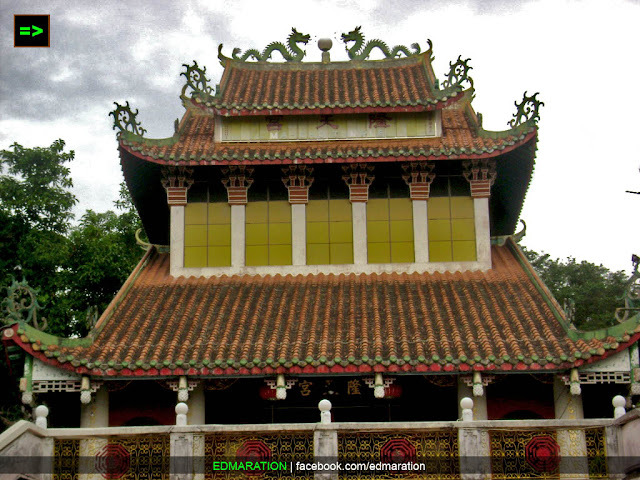 Cebu's Taoist temple is the most famous in the Philippines and seemed to be the only one in the Philippines. Thanks, for readers' sake, yay,, haha. ang ganda ng opening photo! Salamat Kuya Christian - ang isang tulad mong expert sa photography ang mag-appreciate sa photo ng amateur na tulad ko ay wagas ang saya! Haha!Ang drama ko lang no!